The top Canadian prospects for the 2019 CFL Draft, and 18 European players, will participate in the CFL National Combine in Toronto from March 22-24. TSN.ca will track prospects' results over the weekend. 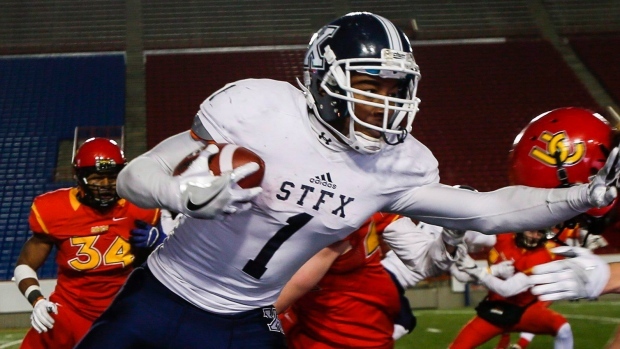 Shai Ross WR Manitoba 11' 5.50"
Jacob Dearborn DB Carleton 11' 1.75"
Malcom Lee DB UBC 10' 8.63"
Kaion Julien-Grant WR St. Francis Xavier 10' 7.25"
Shamar Busby DB Southeastern Louisiana 10' 4.25"